Sun Valley certainly lives up to its namesake, hailed for its sunny beauty and a general feeling of euphoria, making it one of our happiest escapes. This sunshiny town is a great place to be in the summer, especially for the enthusiastic explorer. To help you make the most of your trip, our Xplore expert, Jacquie, has outlined a sample 3-day itinerary. 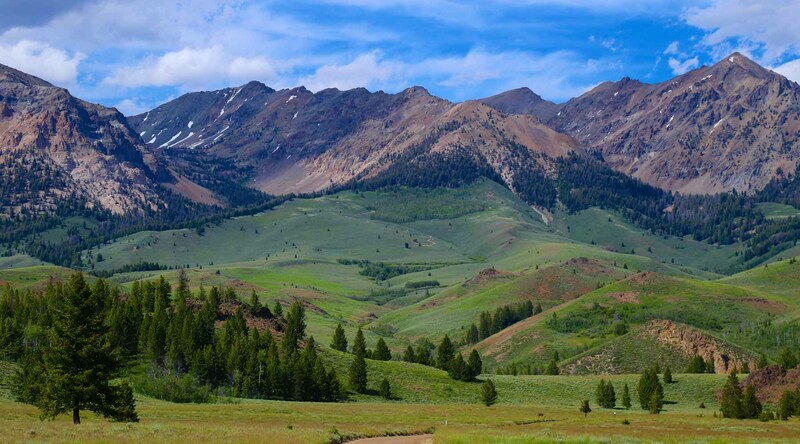 Beautifully green in the summer months and gloriously white in the winter, Sun Valley is a year-round oasis fitting for any type of adventurer—whether you’re looking for some of the best skiing in the nation or unparalleled biking trails. You'll love the lush landscape almost as much as the beautiful horses that will guide you through the area, and the fresh mountain air that makes a summer vacation in Sun Valley so refreshing. Experience Sun Valley the way the locals do, and discover downtown Ketchum on bikes. Then, spend an afternoon golfing at one of Sun Valley’s beautiful courses. Start your first day with a hearty breakfast. With its many paved paths, Sun Valley is a bike-friendly destination that allows for amazing exploration. Enjoy sweeping mountain views and fresh summer air while you swing to your heart’s content. On your second day, experience some of the excellent fly fishing that Sun Valley has to offer. Surrounded by mountain vistas and clear blue skies, your relaxing day of fishing will provide a restorative release. Get your morning coffee fix with the locally beloved drink, “Bowl of Soul” from Java in Ketchum. Fisheries such as Silver Creed and Copper Basin are loaded with rainbow, brown, brook, and cutthroat trout. Spend your last day discovering the grand outdoors of beautiful Sun Valley from atop a bike or horse. An exquisite dinner at The Pioneer is the surest way to leave Sun Valley with a fully belly and a smile. Explore the White Clouds hiking area on bikes - an activity suited for all ages, where mountain trails make for breathtaking views. Sun Valley’s deeply entrenched history of horsemanship makes this a fitting end to your trip, and an exciting representation of the unique Sun Valley experience. A steak and potatoes fix at The Pioneer is a must. "I love all of the community traditions in Sun Valley. Be sure to catch the ice skating and the symphony series in the summer!" It’s easy to see how Sun Valley, Idaho got its name. This happy, active town is a winter wonderland half the year and wildflower-filled landscape the other half. Stay in one of our Sun Valley luxury rentals and treat yourself to a true Idaho experience. Jaquie has 10+ years of hospitality experience working for companies like Disney and Hilton. A Colorado native, she is always exploring the nearby Rocky Mountains but also loves to visit new places and meet new people whenever possible. Three favorite things: food, wine, traveling!